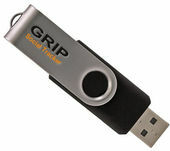 Keep your family safe with the GRIP Social Tracker. Social Tracker is like having a digital diary of your children's every day lives. Social Tracker activates and records all screen activity once a browser is pointed at websites like Facebook, Twitter, Youtube, Bebo, or any other site you wish to monitor. You can choose to have Social Tracker track any number of websites from a "Hit List" that you create or you can turn it on to track all websites. As long as the website is in the active window, Social Tracker will capture all keystrokes and take screen captures so you can see exactly what's going on. That's it, Social Tracker will start monitoring user activity as soon as any of the sites on your hit list.